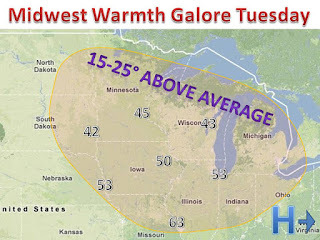 Midwest Winter Weather Blog: Warm, Warm Week for Midwest...then a storm?? A major warm spell is in progress in the midwest right now. It is 71 degrees right now in Omaha! 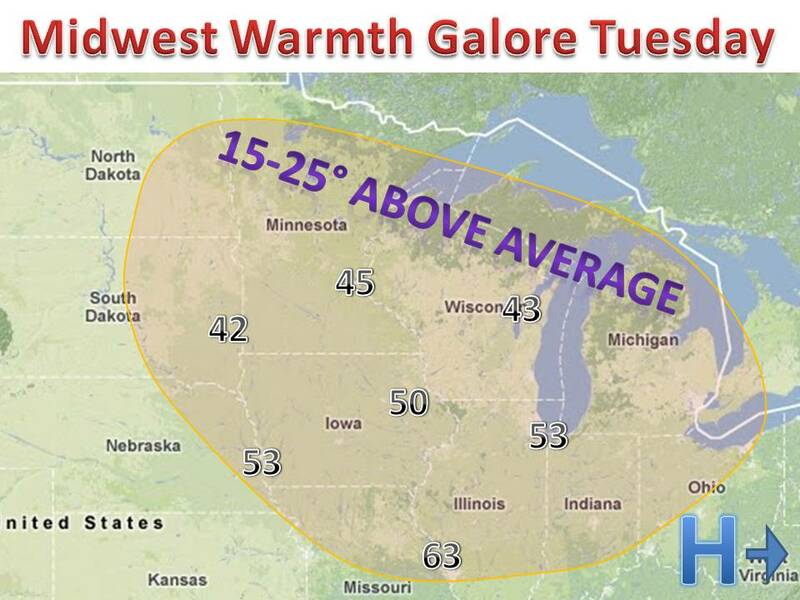 Temps will run about 15-25 degrees above normal throughout much of the midwest on Tuesday. It will cool of slightly for Wed. but still expect temps to run about 15 degrees above normal for much of the week. Also, I am monitoring a storm that is seeming more and more likely for the weekend. It will be more of a rain maker, but accumulating snow is likely on the back side. Stay tuned for updates in the coming days!